Sports Blogging Network: What Has Happened To America's Team? No time soon will Roger Staubach, Tony Dorsett, Drew Pearson, Troy Aikman, or Emmitt Smith will be walking through the locker room for the Dallas Cowboys. What has happened to America's Team? There was a time when you would always see the Dallas Cowboys in the playoffs and vying for Championships. 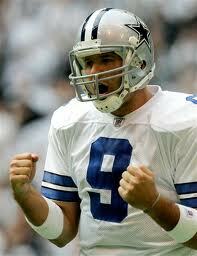 Right now for Dallas Cowboy fans that is just a distant memory. Can the Dallas Cowboys be fixed? Jerry Jones took over the Cowboys and many people point towards him as the reason for the Cowboys downward spiral. I will agree with that to a certain point. Jones needs to hire better personel to run the organization and draft then he has right now. The draft has not been kind to Jones in recent years. Drafting helps build yopur organization and the Cowboys have dropped the ball on this one. The second group you can blame this on is the players. It's true the Cowboys do not have the cream of the crop, but at times they are just plain lazy. Players must do more if they hope to win. At times I have watched Cowboy players just stand around. There really is no quick fix for them. Everyone must take accountability if they hope to be a contender once again.